Like any group of young professionals, Erin Schally and her friends enjoy going out and relaxing with a mug of beer. Brown said the group has come a long way from backyard home brewing to having their guests try out their beer at Brown and Wang’s wedding in 2013. 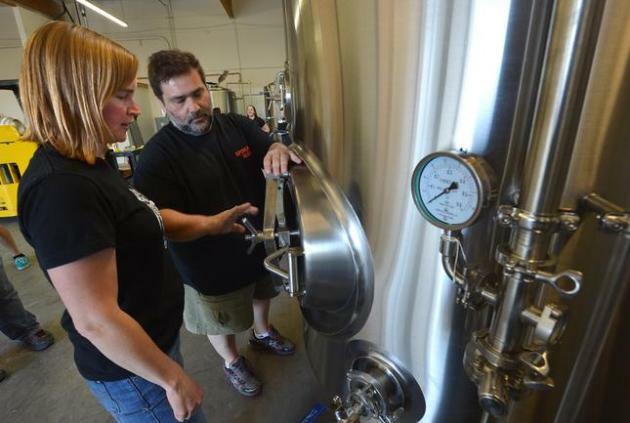 Today, the group of six partners now runs Epidemic Ales in North Concord where they continue to brew beer on a smaller scale until they get the necessary licenses and permits that will make them fully operational sometime in late summer, said Schally, who grew up in Walnut Creek with her sister and brew partner, Raina. Epidemic Ales, the newest brewery in Concord, joins Ale Industries, The Hop Grenade, EJ Phair, the Pig and the Pickle, and local businesses for the annual American Association of University Women fundraiser, Art and Wine (and Beer!) Walk.